Also known as Akiba. If you love having new gadgets, then Akihabara is your ultimate salvation for technology stores and shops. If you're a fan of animes and mangas, Akihabara is the next place you may want to consider visiting. Akihabara also has been a haven for otakus and manga enthusiasts that stores are popping out next to one another plus you may get a chance to see cosplayers roaming around the area. You could buy a gadget at stores for as low as 100 JPY. Prices are dropping as store competitions grow. I remember we were even able to score a Sandisk 32gb memory card for only 300 yen (that time it was 1-2 USD only). Arashiyama is one of the most spectacular sightseeing areas within the Kyoto Prefecture of Japan. It offers incredible natural delights as well as a rich cultural influence which will take your breath away. Sitting at the base of the Arashiyama Mountains, it is here that you will find the world-famous Arashiyama Bamboo Grove whose incredible long stalks reach up into the heavens. Climb higher to visit the Iwatayama Monkey Park where humans go in the cage (rather than the monkeys) to feed them. Or perhaps, take a boat down the river to see the spectacular cherry blossoms in spring. If you love temples, you are spoilt for choice with the likes of Tenryu-ji in this area. Or if you would prefer a little pampering, head to the incredible Tenzan-no-yu Onsen. Fukuoka is off the main tourist route of Japan, but it's still worthy of a visit, especially if you're obsessed with ramen. 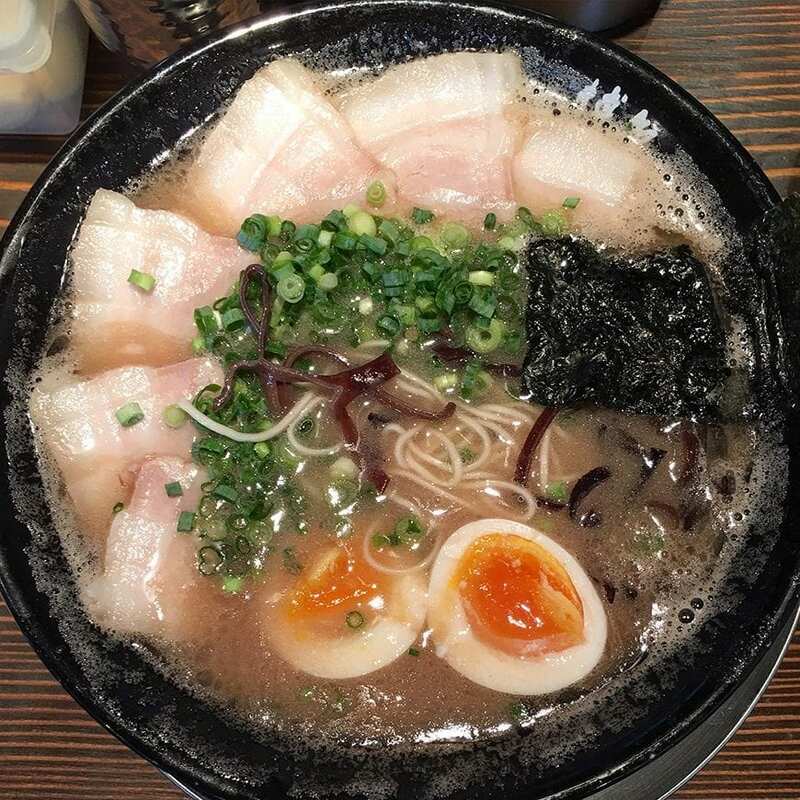 Fukuoka is the home of tonkotsu ramen, with its famous rich & delicious pork bone broth. No trip is complete without trying at least a few bowls of the best tonkotsu ramen in Fukuoka. In between bowls of ramen, the city has nice parks & several temples to explore, including Maizuru Park, which has the ruins of Fukuoka Castle. Baseball fans will love the experience of attending a Fukuoka SoftBank Hawks game at the Fukuoka Yahuoku! Dome. Yes, the stadium sells tonkotsu ramen! untamed, the scenery is stunning and the island is sparsely inhabited. With its towering volcanos, blue lakes and endless forests Hokkaido was my favorite place in Japan! Furano yourself to see all it has to offer! People were surprised when I said Hiroshima was one of my favorite cities in Japan, they look at me surprised and ask, why would you go there. I was adamant that we would visit Hiroshima when we were there. I learnt about Hiroshima at school and Sadako, the girl that folded 1000 paper cranes that now sit in the Children's Peace Memorial at the Hiroshima Peace Memorial Park. Sadako died from cancer that was related to the Hiroshima bomb that was dropped on Hiroshima in August 6,1945 during World War II. The Peace Memorial Museum is a sober experience yet a great reminder why this can never happen again. The devastation is unfathomable. 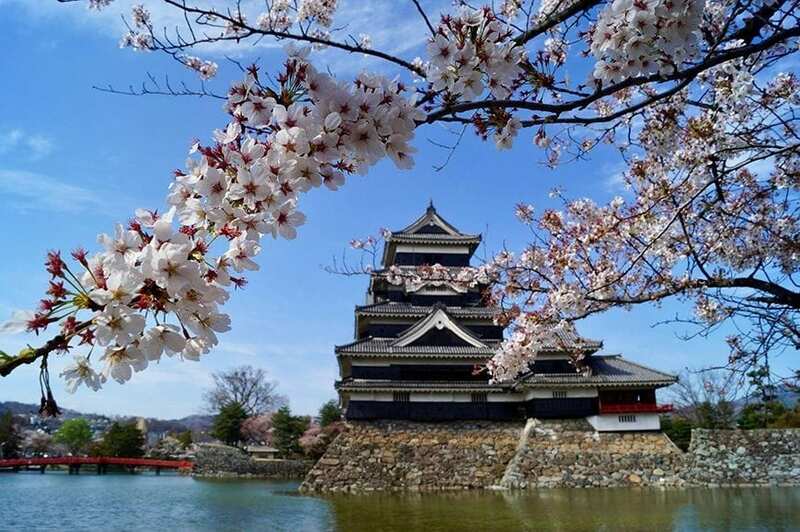 There is more to Hiroshima that the Peace Memorial Park, Hiroshima Castle is beautiful and there is a traditional Japanese garden walking distance from the Castle. There is a free shuttle bus that transport tourists between all the major attractions, Hiroshima city is a bustling hub, it’s hard to believe that it was flattened to rubble only 80 years ago. If you are thinking about going, I can’t recommend it any more highly, I am just disappointed I didn’t have more than a day to explore. The Great Buddha statue at the Kotoku-in Temple in Kamakura, Japan. The bronze statue dates to 1252, stands 13.35 metres high and weights 93 tons. Kamakura is approximately 50 km southwest of Japan's capital, Tokyo, and a popular destination for people seeking a day out of the city. During the Shogunate and Kamakura Periods, Kamakura was a large and important city. 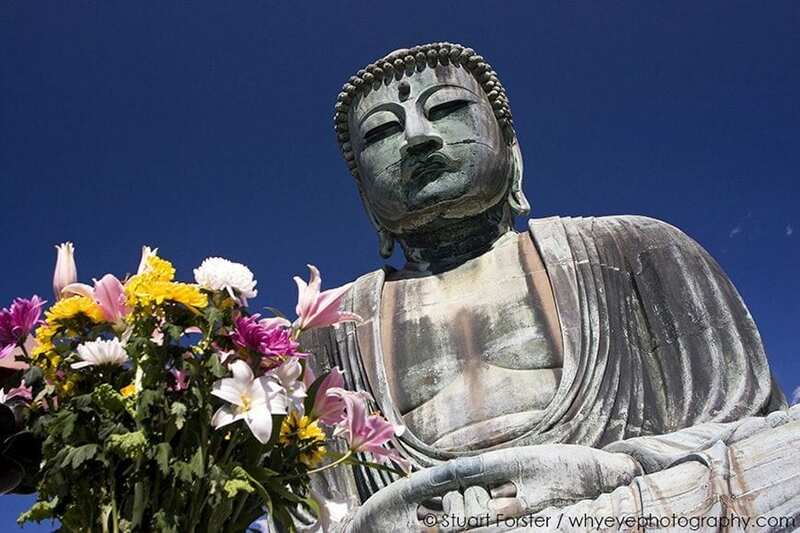 Kamakura is an outstanding destination for anybody interested in travel photography. Several Buddhist temples nestle into the hillsides around this coastal city, which lies about an hour’s train journey south of Tokyo. Travellers interested in Japan’s heritage can view fascinating places of worship dating from the time when Kamakura was the country’s capital, from the 12th to 14th centuries. The Hase-dera temple features a vast statue of the god Kannon, the deity after whom the Canon brand takes its name. The cross-legged Big Buddha statue is a must-see landmark. Over 11 metres tall, it survived a tsunami, more than 500 years ago, that destroyed the temple which once surrounded it. A trip to Japan would not be complete without a stop in Kyoto. If you’re looking for a taste of old worldJapan without completely abandoning modernity then Kyoto is an amazing city worth a visit. Kyoto’s appeal is obvious from the moment you get past the ultra-modern Kyoto Station and begin exploring the city’s charms. From Buddhist temples (over 1000! ), Shinto shrines and Zen gardens to the famous Arashiyama Bamboo Grove this city has something for everyone. 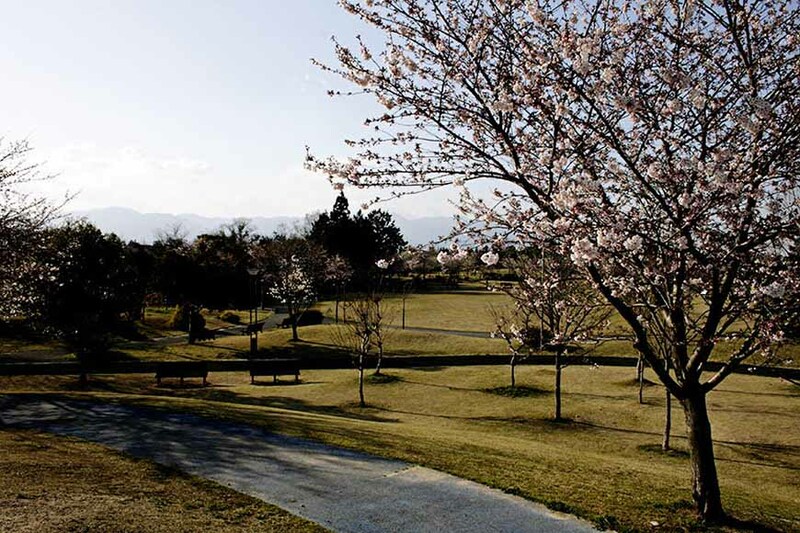 Stroll along the Philosopher’s Path and admire the cherry tree lined canal. Better yet, plan your visit during cherry blossom season and enjoy some hanami too. Check out the Gion district to catch a glimpse of an elusive geisha. Wander past traditional Japanese homes. Pop into the numerous specialty shops. With a grid pattern and simple transportation system, Kyoto and all its offerings are easy to explore. Mount Koya is an amazing travel destination because it is the perfect combination of nature and culture. Locals refer to it as “Koyasan” and its famous throughout Japan as the founding location of Japanese Buddhism (aka Shingon Buddhism). Mount Koya is well off the beaten path but still accessible from Kyoto or Osaka. This means that while it is a wonderful place to be it won’t be over crowded like most of the other Japanese destinations. It is a UNESCO sacred site with temples that have been in use for over a millennium! 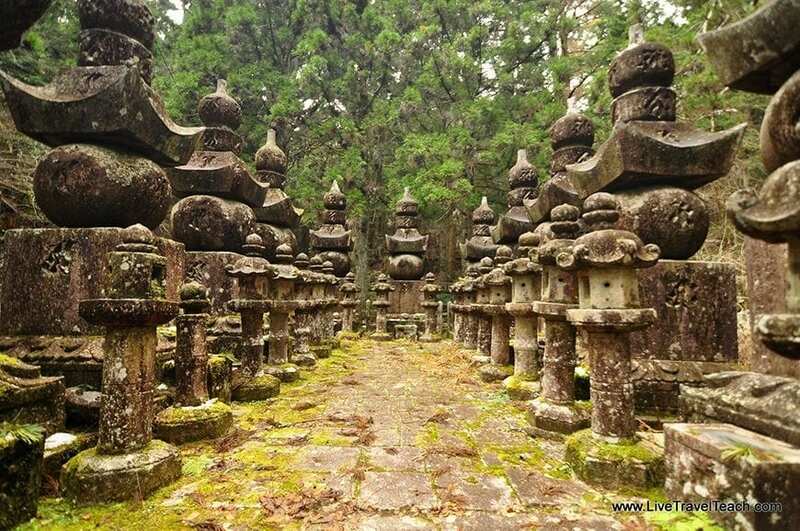 Walking around Mount Koya you’ll want to visit Sando, the 1200 year old cemetery with over 200,000 Buddhist graves! The cemetery is built into the forest and some of the massive trees have been there just as long as the moss covered graves. Take an hour or two and stroll through this magical landscape to find yourself standing in front of a mausoleum and temple devoted to Kobo Daishi, the founder of Koyasan. Legend says that he is in a state of eternal meditation beneath the mountain. Pilgrims and monks here often help tourists like you and me make an offering or say a prayer and regardless of your beliefs this will surely be a memorable experience for your trip to Japan. 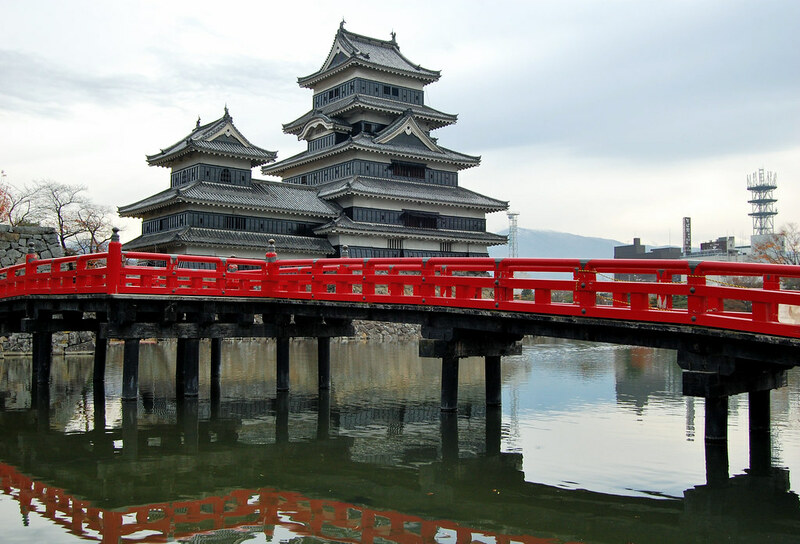 A less well known destination in Japan is the city of Nagano. What is great about Nagano is that it is the gateway to the ‘roof of the world’, being surrounded on all four sides by mountains of over 9800 ft / 3000 meters tall! In 1998 Nagano hosted the Winter Olympics and that influence can still be seen around the city. A particular attraction within Nagano is the amazing Zenkoji Temple, which is one of the most important and popular temples within Japan and is only a short distance from Nagano Station. A special experience when visiting Zenkoji Temple is to walk through their underground passage in complete darkness in search of the ‘key to paradise’ – I can confirm that this was definitely an amazing experience! Nagano is also the home of ramen noodles so you can definitely slurp some great hand made noodles when you visit! 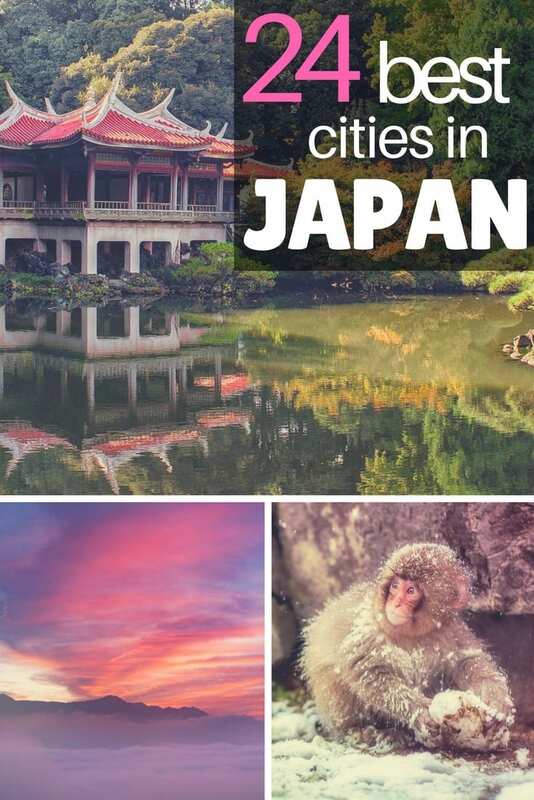 From Nagano you can access a huge number of skiing resorts, and close by is also the very famous Jigokudani Monkey Park, home of the wild Japanese snow monkeys. Take an hour train south of Kyoto to find the enchanting town of Nara. 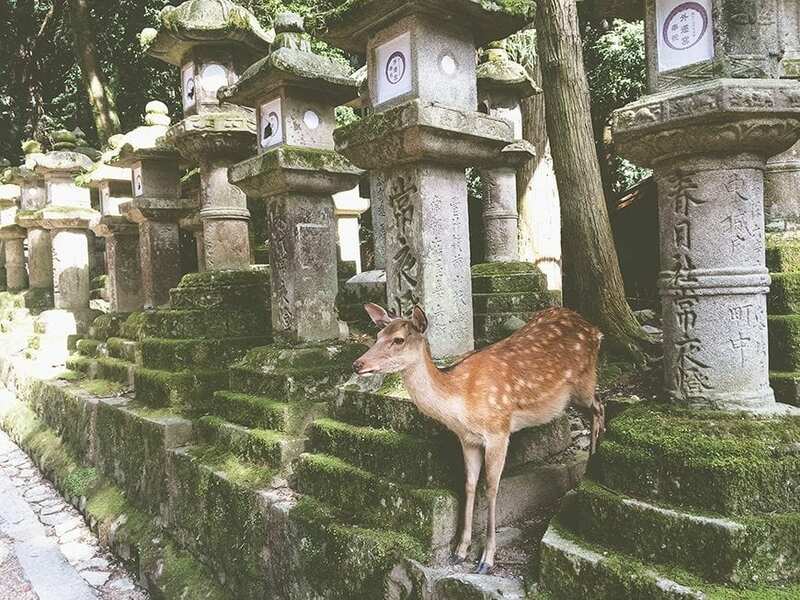 Famous for its roaming deer, Nara was Japan's first permanent capital city! This means it is full of historical temples and some of which are Unesco World Heritage Sites. 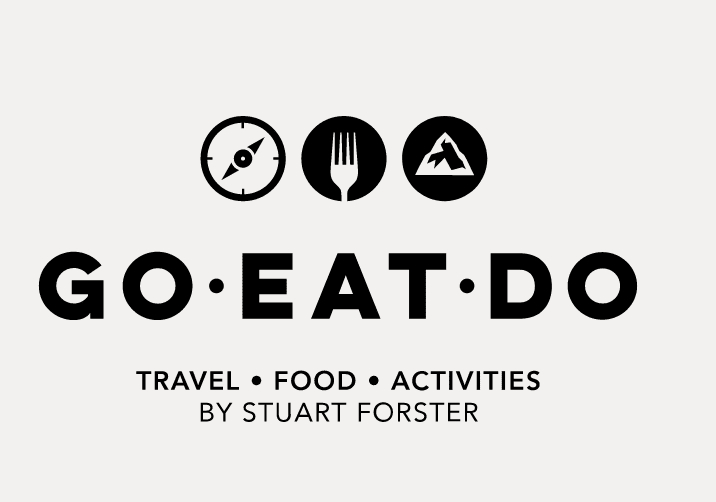 A compact town that allows you to explore all of its charms in a day. The main attracted is, of course, the tame deer that roam freely through the streets and temple grounds but Nara is also home to the Daibutsu (Great Buddha), Kasugayama Primeval Forest, Kofuku-ji Temple and the Tōdai-ji Temple, as well as the incredible Mount Wakakusayama that overlooks all over Nara and beyond! Nikko lies just a couple of hours north of Tokyo. It’s full of ancient history and beautiful natural sights, and is definitely worth visiting for a couple of days. The most famous sights to see in Nikko are without doubt its shrines. A World Heritage Site, there are several complexes to visit. The best is the Toshugo shrine where Tokugawa Ieyasu, often credited as the founder of modern Japan, is buried. Ornate, gilded carvings cover the buildings - you won’t see anything like it elsewhere in Japan. 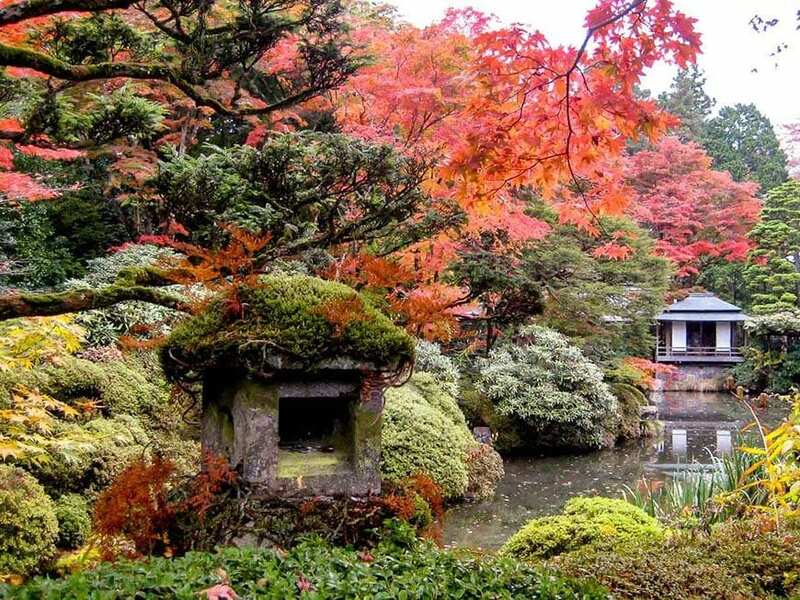 You should also stroll around nearby Shoyoen garden which is especially beautiful in autumn. 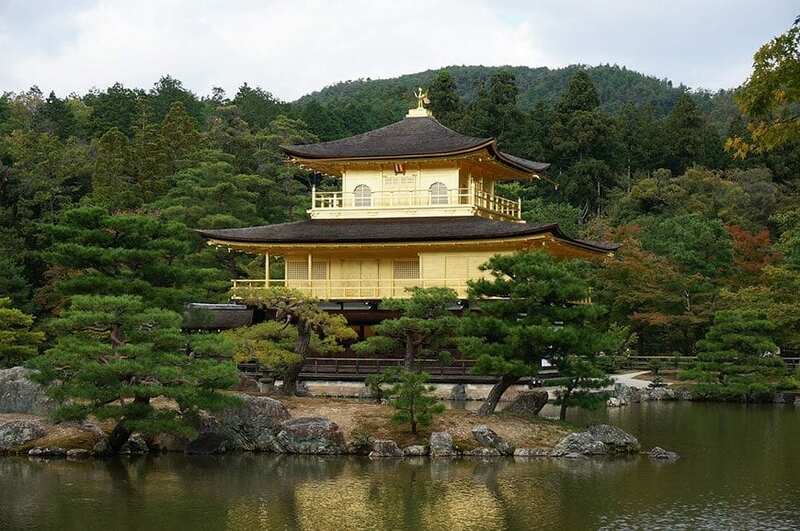 Other must-sees in the town centre include the Shinkyo bridge, botanical gardens and Tamozawa Imperial villa. But Nikko isn’t just about ancient history - there are plenty of nature based things to do nearby. Take a walk down by the river gorge and you’ll find a pathway lined with statues said to protect travellers and unborn children. In the area around the city you’ll find numerous hiking trails, lakes and waterfalls. And when you’ve worn yourself out exploring, relax in one of the hot spring onsen in the area. It’s the perfect way to end your visit to Nikko. 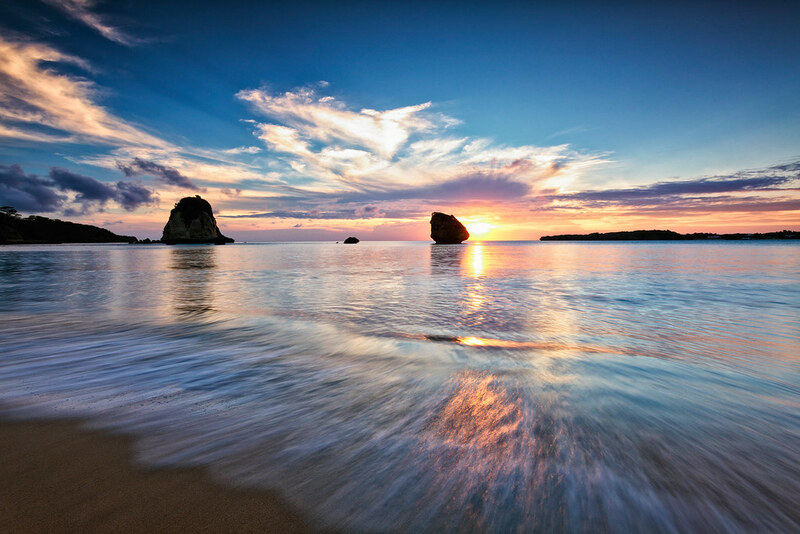 Okinawa consists of 160 large and small islands with the most diverse wildlife and nature. It is totally different from the rest of Japan in absolutely everything. Here you can experience different culture, language, cuisine, and art that is not to be seen anywhere else. Nature is absolutely stunning, coral reefs, white sand beaches, and enchanting crystal blue seas make you feel this is a small paradise of its own. Not to mention the countless varieties of richly-colored tropical fish swimming around the coral reef. If you are interested in outdoor activities camping and eco tours are available in quite a few spots and if you are more of a culture type of a person then you should definitely visit the beautiful Shuri Castle and see one of Okinawas most well known traditional crafts called Ryukyu glass. Nevertheless, Okinawa definitely is a place you should visit at least once in your life time. The island of Okunoshima is a perfect day trip from Hiroshima, being located only about 50 km away just off the coast, in the Inland Sea of Japan. 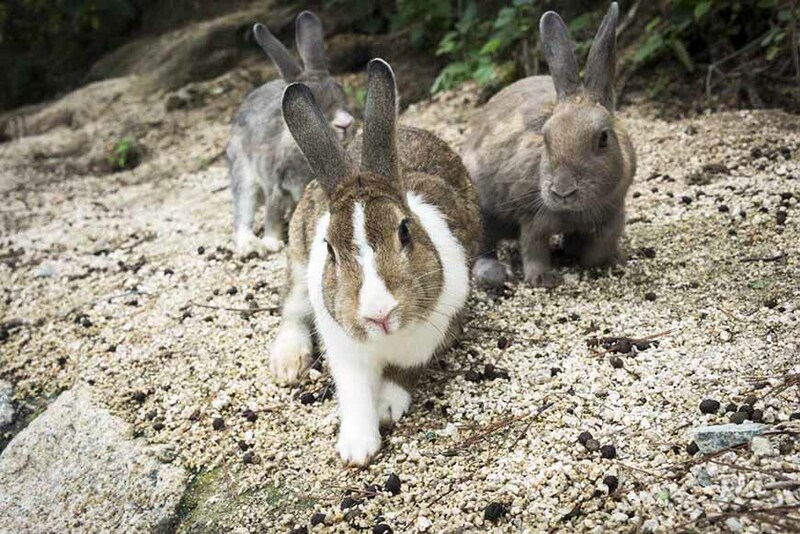 Okunoshima is also known as Rabbit Island, because of the 700 or so rabbits that live there. They are not hard to find - the island is only two square miles and there are no predators, so rabbit numbers increase every year! You can wander around and play with the cute rabbits or even feed them some food that you can buy from the ferry terminal on the mainland. Yet, Okunoshima hides a dark secret. It was home to a secret poison gas factory until the end of World War II. Rabbits were used at the time of the factory to test the effects of poison gas, but the rabbits living on Okunoshima now are not the offspring of those test rabbits - they were taken on the island only later. If you want to know more about the poison gas factory, there's a small museum you can visit on the island. Sawara is a town that seemed to be frozen in the Edo period, with its picturesque canals and two-storey slate-roof houses. The best part is that this quaint town in Chiba is less than two-hours ride from Tokyo, and close to the Narita airport. 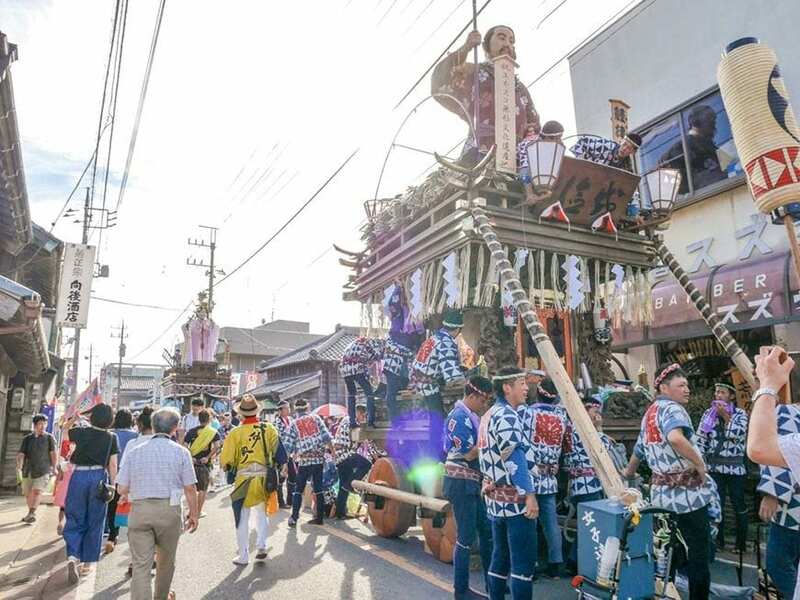 Aside from the obvious village charm, Sawara also hosts a variety of festivals throughout the year. The most famous of which is the Grand Sawara Festival, which take place in July and October. It is a UNESCO world heritage tradition with the parade cart, music, and garb. If you are interested in visiting Sawara as well as the other festivals, you can find out more here. Suzuka is a small city in Mie-ken. It's only famous because of the F-1 circuit and, every year, when it's Formula 1 time, the city gets crazy busy. Other than that, it's a peaceful, quiet place. It's close to Osaka, Nagoya, and even Shirakawago. 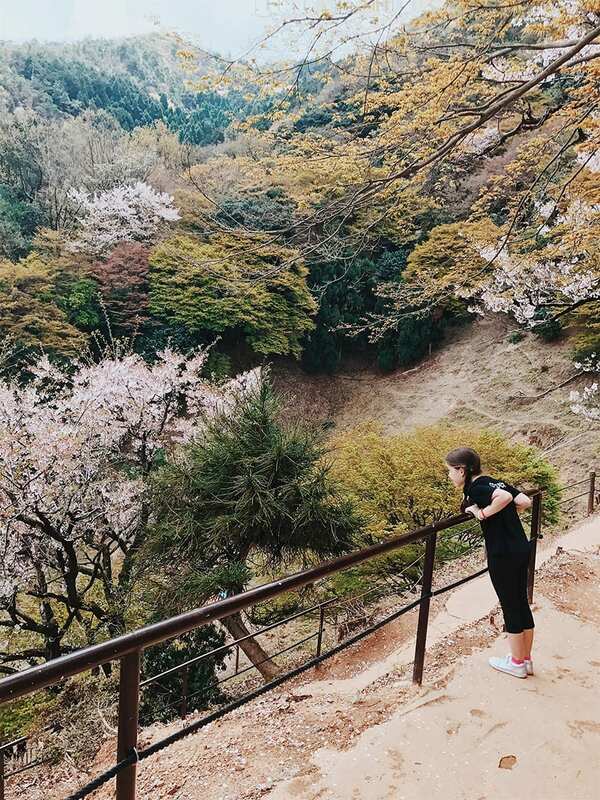 There are temples, beaches, an F-1 themed attraction park, and lots of beautiful parks. When it's the end of March or beginning of April, the cherry blossoms make everything pink and when it's starting to fall, the amazing pink petals rain over everyone. When it snows, it never lasts enough to be bothersome - just those couple of days so we can enjoy it for a bit. We love it! Takayama is in the Japanese Alps in the Gifu Prefecture. There are a few places in Japan called Takayama, so make sure when you are planning your trip to look for Hida-Takayama, named after the famed Hida beef of the area. Takayama is on the main island of Honshu. It is 2 hours by shinkansen (bullet train) from Tokyo to Nagoya and then another hour on the JR Hida express through stunning countryside. The Old town of Takayama is called Sanmachi Suji, and you will find many of the old wooden merchants’ houses, many dating back to the Edo Period. You will also see large buildings with massive doorways and it here that the festival floats are being prepared for the biannual Takayama Matsuri Festival, one of the most famous Japanese festivals. You can also visit the Takayama Festival Floats Exhibition Hall. Yes, you should try the Hida beef from this mountainous city, because it is that good. There are street stalls along the river that serve it and other fantastic Japanese street food. 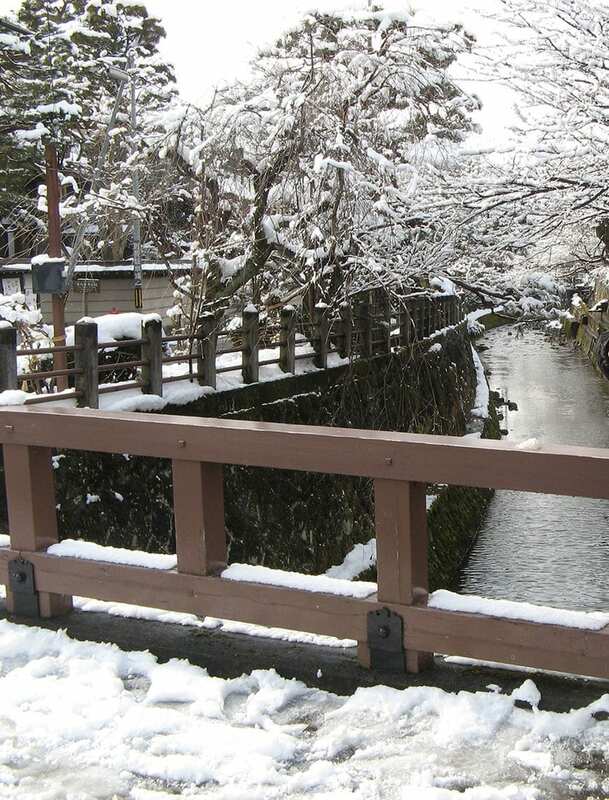 Takayama is also the gateway to Shirakawa-go, a Unesco-listed village of traditional gassho-zukuri houses. 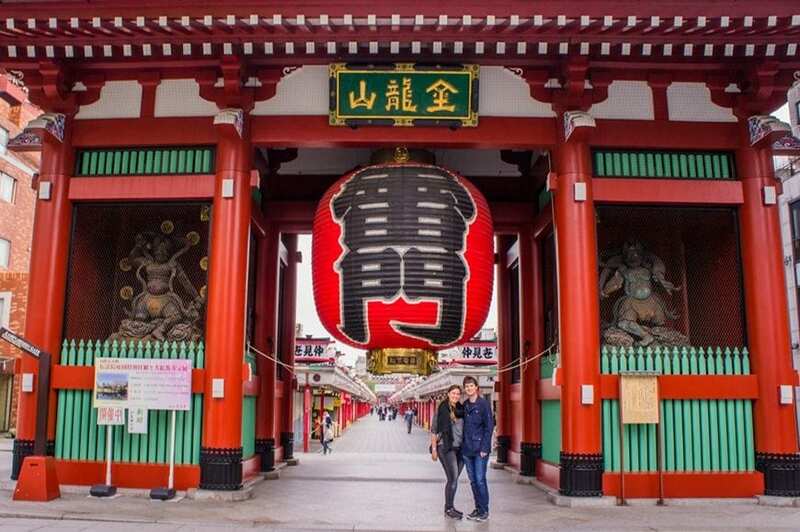 If you're looking for the old-town atmosphere of Tokyo, head over to the city's former entertainment district Asakusa (pronounced 'ah-sahk-sah'). While this area was completely destroyed in the Second World War, most buildings, shrines and temples have been reconstructed. Highlights include Sensoji (Tokyo’s oldest Buddhist temple, also known as Asakusa Kannon Temple), Asakusa Shrine (also known as Sanja-sama), Kaminarimon (The ‘Thunder Gate'), Nakamise Shopping Street (One of the oldest in Japan, selling traditional Japanese sweets and souvenirs), Hōzōmon (The Inner Gate) and the impressive 5-storied Pagoda. Before entering the main Sensoji temple, you can participate in many small ceremonies, such as writing your wish on a piece of paper to lighting incense and doing a cleaning ritual at the dragon fountain. The garden surrounding the temple has many little bridges and beautiful ponds with Koi Carp. Next to the temple, you can also find Japan's oldest amusement park called Hanayashiki, which has been operating since 1853! While most part of Tokyo are a concrete jungle full of skyscrapers, neon lights and designer shops, Asakusa has remained its calm, especially when the tourists leave at the end of the day and you have the temple complex all to yourself. 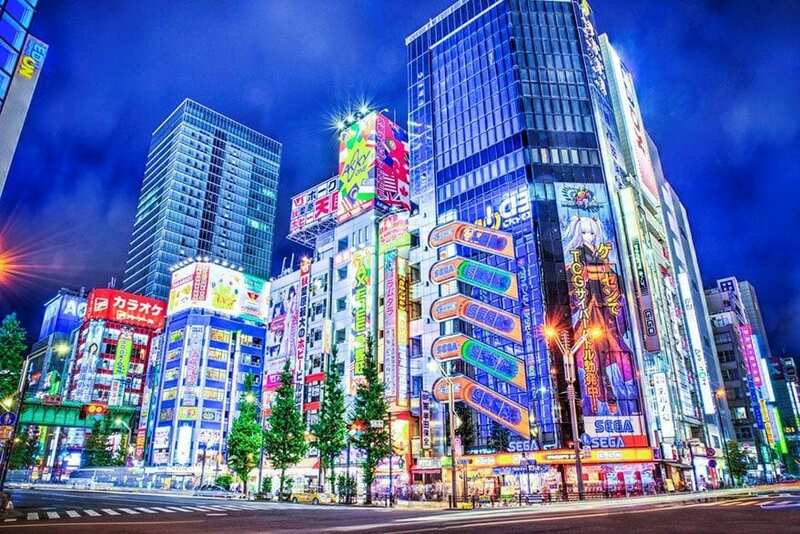 Shibuya, located in the western suburbs of Tokyo is an amazing destination that should not be missed. 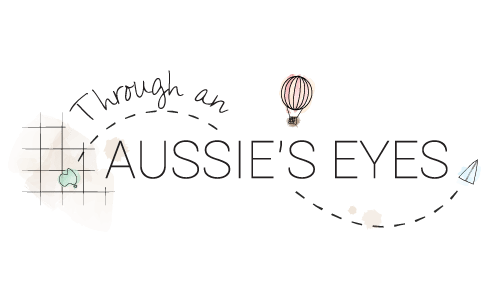 This vibrant neighbourhood is jam-packed with eateries, boutiques, department stores and exciting nightlife that will make you feel like you’re in the centre of Japan’s beating heart. A district of contrasts, Shibuya is loaded with countless laneways branching off the bustling main roads so there’s never a dull moment. These laneways also boast amazing Kobe beef and other world-class restaurants and eateries to suit every taste. Shibuya is also home to “The Scramble” - the world’s busiest street crossing where around 2,500 people cross it at any one time! Thankfully it doesn’t seem so hectic because everyone crosses in an orderly manner, which is expected in Japan. Also a great base for your stay in Tokyo, Shibuya station is a major transportation hub that makes travelling intercity a breeze. 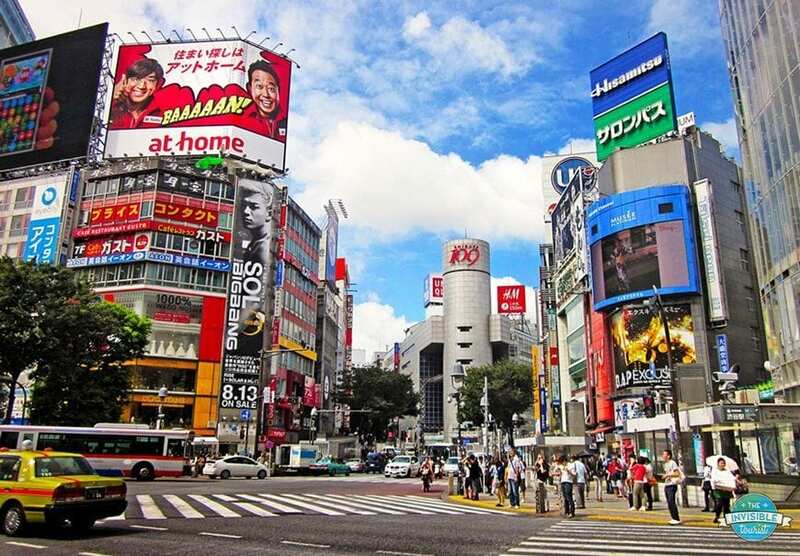 Be sure to spend some time exploring Shibuya during your trip to Tokyo! Summer or winter, Niseko is the perfect destination for nature lovers and thrill seekers. In the summer, you’ll be able to go on rafting adventures down the Shiribetsu River, zipline to the backdrop of Mt Fuji’s twin sister, Mt Yotei, and trek, MTB or abseil to your heart’s content. In winter, the powder snow transforms the sleepy Hokkaido town into the perfect ski destination. Slopes abound on and around Mt. Niseko-Annupuri. And when you want to escape the cold there are always natural hot springs (onsen) dotted around the area. 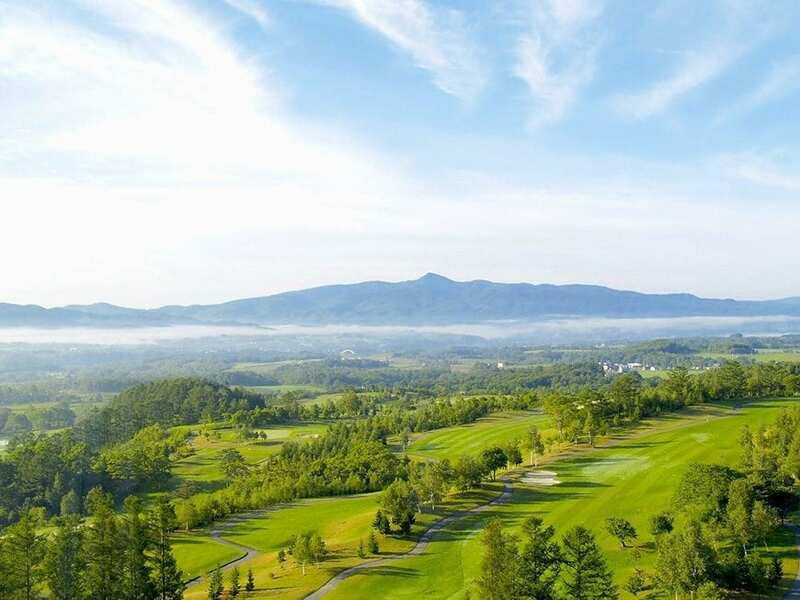 Niseko also boasts the Pure Adventure Park, cooking classes galore and some of the most beautiful golf courses in Japan. Ishigaki is the main island most base themselves on because it is the most developed and the main transport hub into and out of the Yaeyama islands. What makes this island an amazing travel destination for us is the world class scuba diving, with many thriving coral and diving sites based around the island, which you can reach by boat. Other highlights on Ishigaki include the Yaima Cultural Village, where you can learn about the local Ryukyu culture, with dances and performances showcasing the music. The Yaima Cultural Village also houses a group of cute and playful squirrel monkeys, which are completely safe to interact with. Kabira Bay on Ishigaki is another highlight, attracting thousands of tourists every year who come to marvel at the turquoise waters. When we were there, large groups of Japanese tourists visiting from Tokyo would cry out “sugoi” (meaning amazing!) or “kirei” (beautiful!) as they admired the view across the Bay. 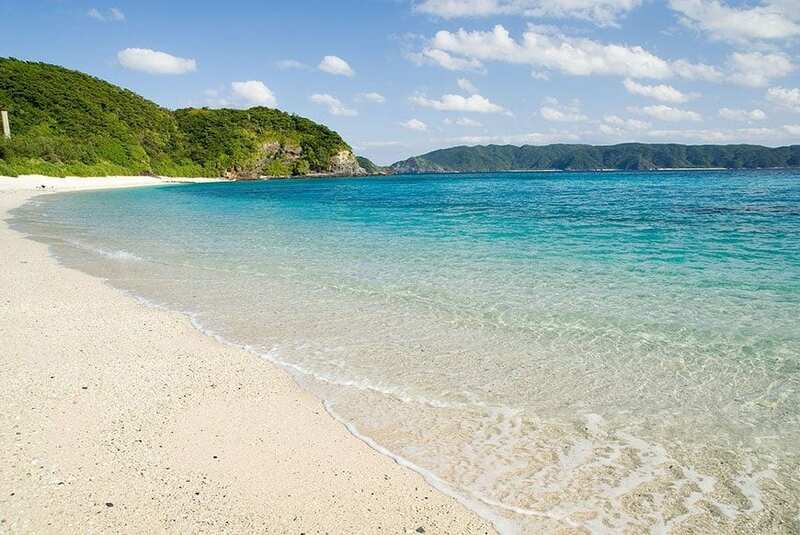 We definitely recommend adding the Yaeyama islands to your Japan itinerary. Yokohama is Japan’s second largest city. 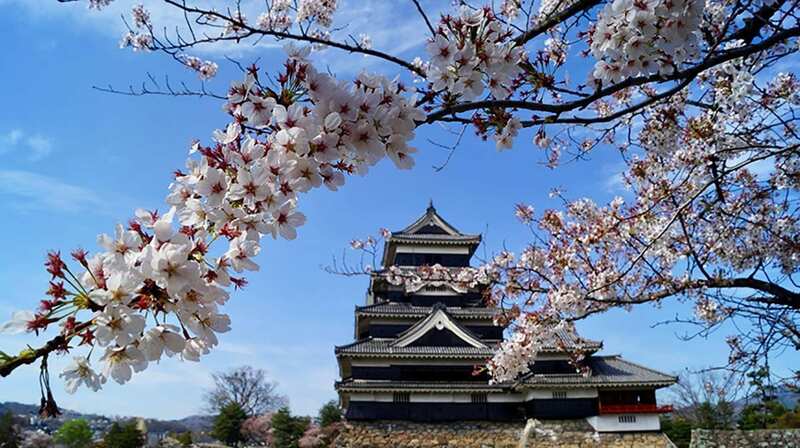 With this thriving city being less than half an hour train ride from Tokyo, it is being increasingly popular with travellers. With the mixture of traditional Japan and a modern day vibe allows for this city to constantly surprise you. 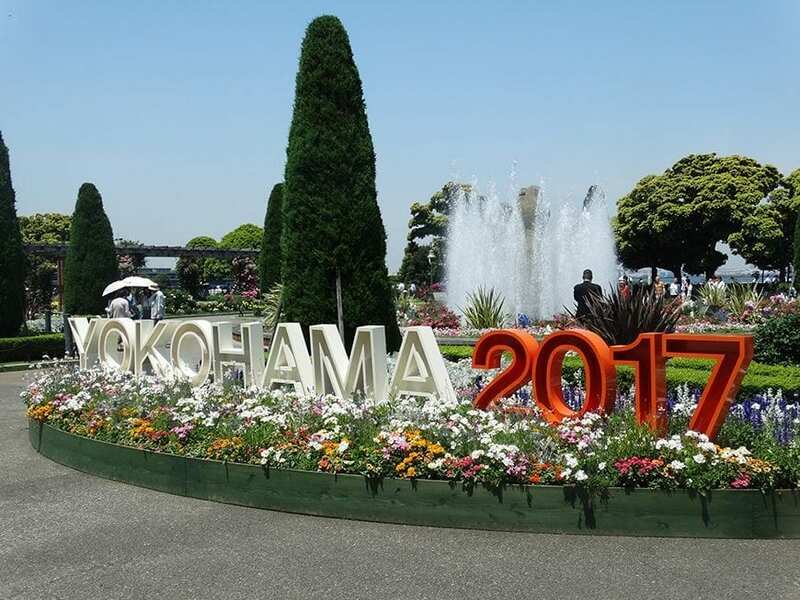 Yokohama ranges from the traditional Japanese gardens to having Japan’s largest Chinatown and to attractions such as the Cup Noodles Museum. One of my personal favorites is the Garden Necklace that is situated right on the harbor and it could not frame the city in a better way. The garden blooms with vibrant colors that have the skyscrapers of Yokohama in the background. 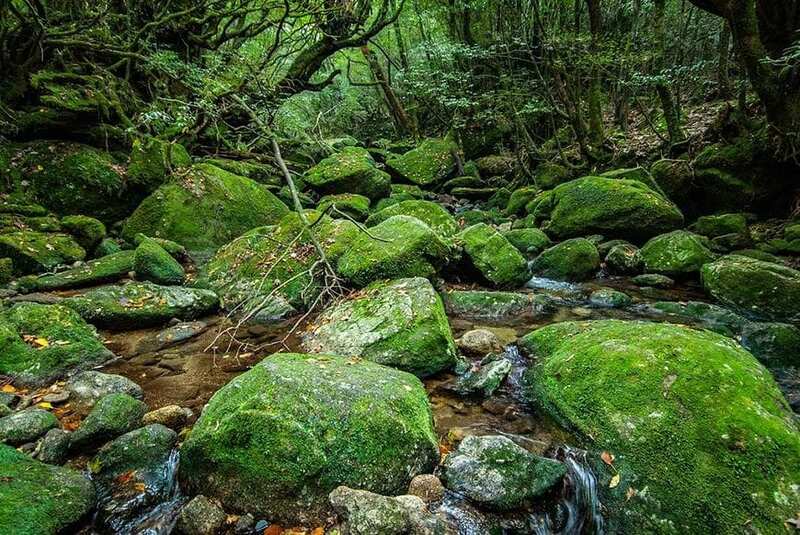 The island of Yakushima is located south of the city of Kirishima, which is the southernmost major city in the main JapaneseIslands. The island is best known for its cedar groves which are located atop the peaks in the center of the island. The island was made famous as the inspiration for Hayao Miyazaki's animated film Princess Mononoke. Yakushima isn't difficult to reach. It is a one-hour high-speed ferry from Kirishima. There are very few non-Japanese tourists on the island and I found little English to be spoken. Moreso than anywhere else in Japan. 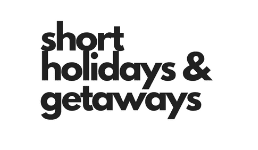 There are several hotels and car rental options on the island so it is possible to explore on your own. 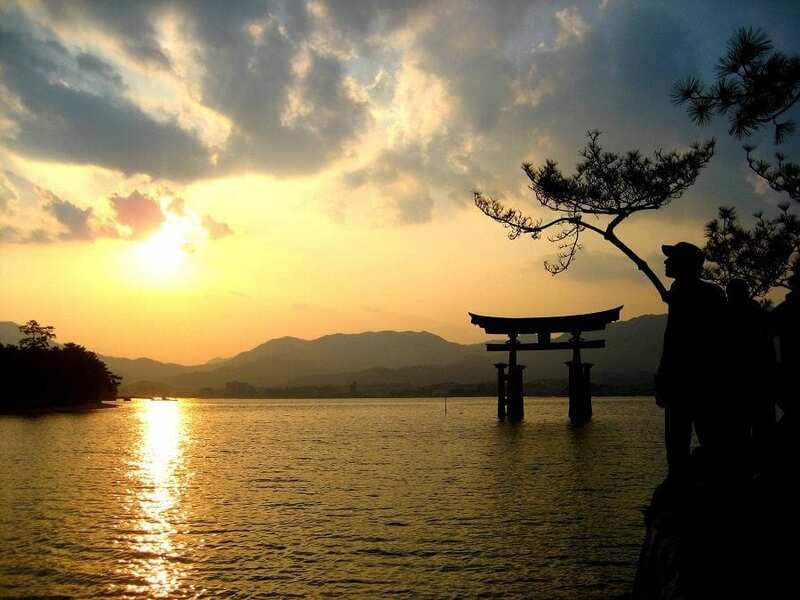 Miyajima is a small island located in Hiroshima Bay, and also, one of the most beautiful places to visit in Japan. The main attraction is the Torii of the coast. During the low tide you can walk around, but when it goes up, it is surrounded by water giving you the impression of being a gate to a different world. That is why this spot is one of the most photogenic spots in the country, especially during the sunset. If you know a little bit about Japan, I bet you have seen already a photo like this, right? Besides the Torii, there are some beautiful temples on the island, and also a view point from the top of the mountain. Miyajima is quite small, so you can visit it as one day trip from Hiroshima, or maybe spend one night there. Japan would be amazing to explore one day. 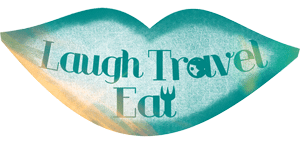 The sights and the food. My favorite country to travel! I wish I could spend a year here! Thank you for the list! It’s my favorite country to travel to also!! !